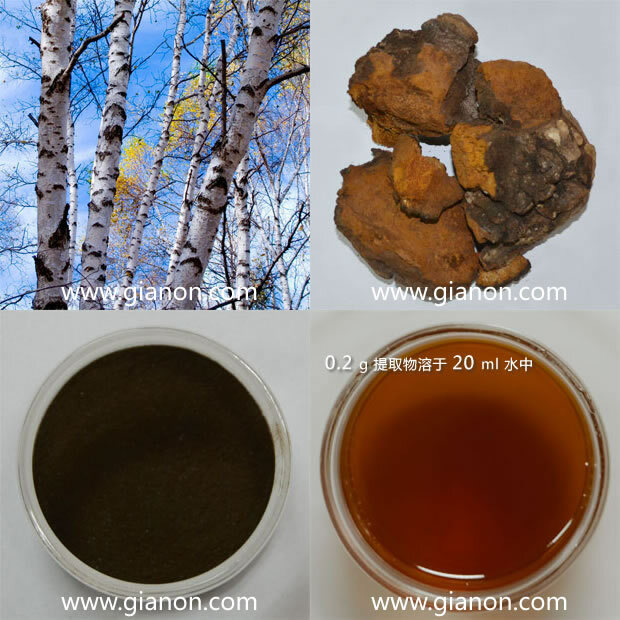 ﻿ Chaga polysaccharides - Ningbo Gianon Biotech Co., Ltd. Appearance: Brown to dark brown powder, hygroscopic, soluble in water. Chaga is also called inonotus obliquus, and it belongs deep maroon Polypores. Chaga contains more than 215 kinds of ingredients, including the polysaccharides, the obliquus streptozotocin, the Inonotus obliquus alcohol, a variety of oxidation of triterpenoids, etc. It can effectively response to hormonal and immune system disorders and cancer tumor growth. Russians have it as their God-given human suffering magic gift. Japanese researchers spoke highly of it as a "panacea". In US, it is put in a special natural substances, as the future of the universe drinks.